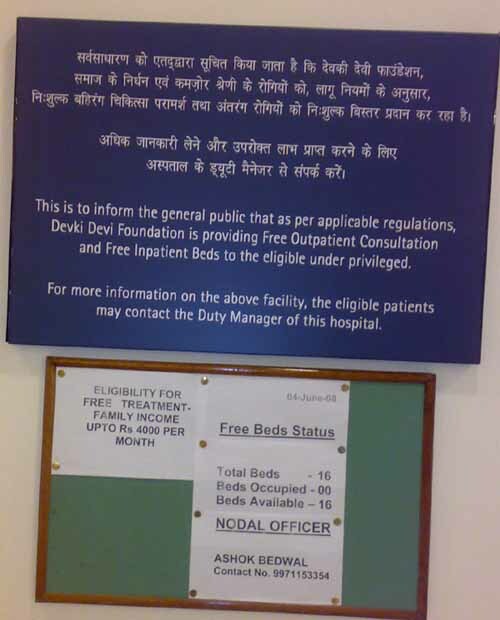 Delhi Private hospitals don't provide free treatment. The delhi High Court Thursday ruled that all private hospitals, built on subsidised government land, must treat the poor free of cost both at// their indoor and outdoor facilities or face contempt of court proceedings. While holding free treatment to the poor "obligatory" at hospitals built on subsidised land, a division bench of Justice Swatanter Kumar and Justice H.R. Malhotra said the hospitals are obliged to provide free treatment upto 25 percent of their outdoor patients and 10 percent of their indoor patients. "All the private hospitals are bound to abide by the recommendations of the Qureshi Committee recommendations in providing absolutely free treatment to the poor patients," the bench ruled. Pronouncing the judgement on a public interest petition filed by a voluntary organization, Social Jurist, the court said, "Non-compliance of the directions would attract contempt of court." 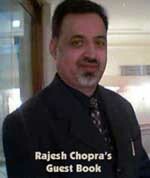 "Free treatment means both consumable and non-consumable. No money should be charged from the poor patient, who are below the poverty line," the bench said categorically in its ruling. The government and delhi Development Authority (DDA) are at liberty to initiate action against the defaulting hospitals such as cancellation of lease deed, taking over of the hospitals and other punitive actions, the bench said in its 110-page order. The DDA and the Land and Development Office (L&DO) of delhi government had allotted 70 plots to various trusts and societies to build hospitals, out of which only 26 are operational, the bench noted in its order. The government had submitted the Quereshi Committee report, which recommended forcing the private hospitals to provide free treatment to 10 per cent of the indoor patients and 25 per cent of the outdoor patients.